We will integrate PayPal code on PayPal Page. Do you send us some text info that goes on the PayPal page? "We use PayPal to process your credit cards. 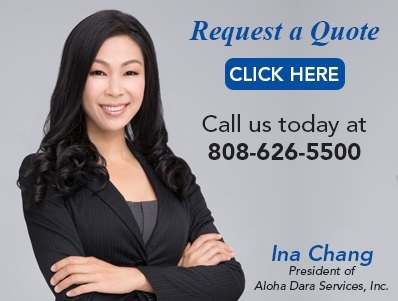 An e-mail confirmation is sent to us at Aloha Data Services, Inc and we promptly process your order. Since PayPal adds an extra level of security to this transaction you may be asked to call them to confirm your intent to make the purchase. They will want to validate that you are who you say you are so that they can screen out any fraudulent activities. At the PayPal Customer Service Center PayPal Customer Service Agents are available to help you 7 days a week, from 2:00 AM to 8:00 AM HST. Call them toll-free at: 1-888-221-1161. An additional charge of 3.00% will be added to all payments made via the PayPal.